The sweet Bri from The Secret Life of Bee is stopping by today to share her three favorite ways to style a graphic tee. 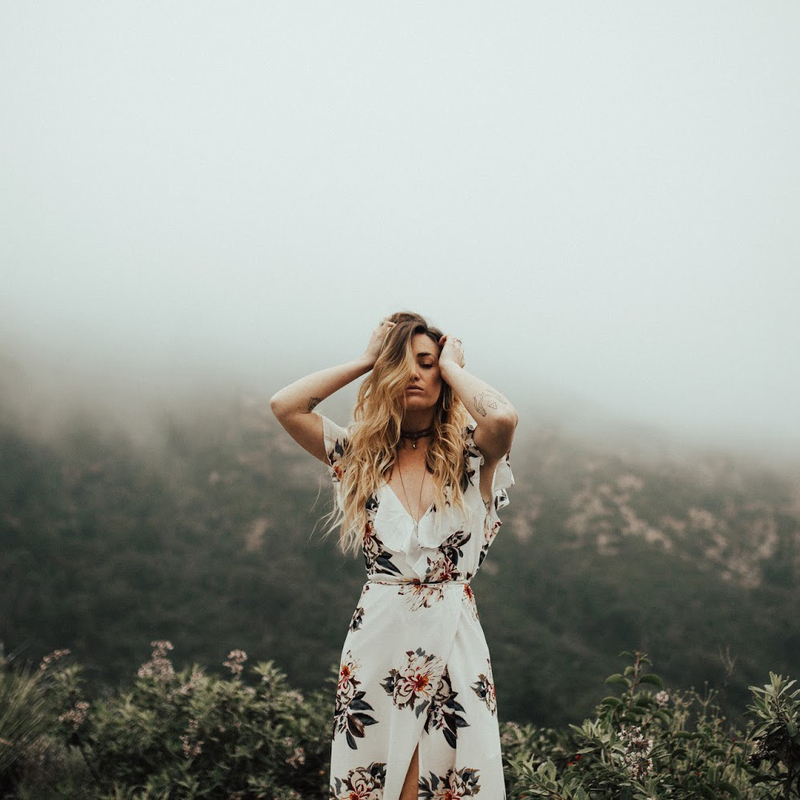 Having a beautiful, unique style without giving up the comfort factor is something that every gal should cling to. Take it away, Bri! Hello there. I'm Bri from The Secret Life Of Bee, and my love for graphic tees is hopefully apparent here. I kind of pride myself on my graphic tee collection. For awhile, I would just wear my tees with some jeans, and call it good. But how boring is that? I've had to get creative, and I ended up realizing there are endless possibilities. What is your favorite way to style your tees? 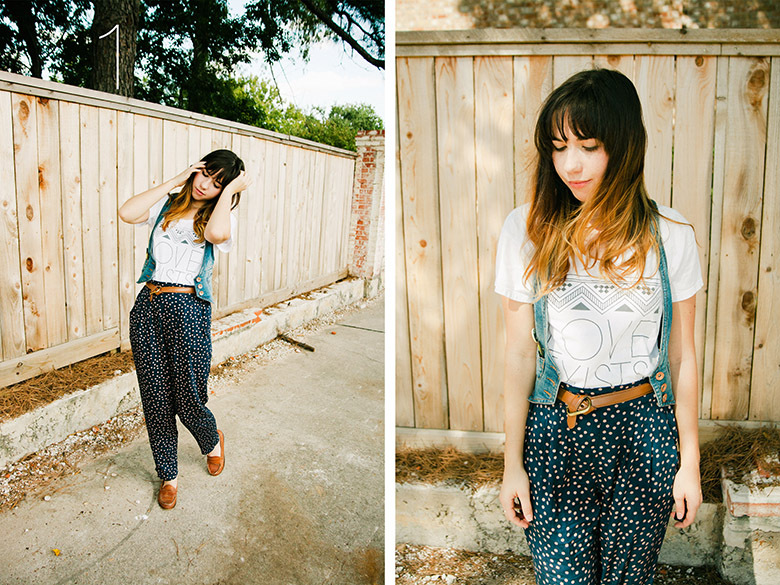 Style One // Graphic tee, comfy pants, denim vest. 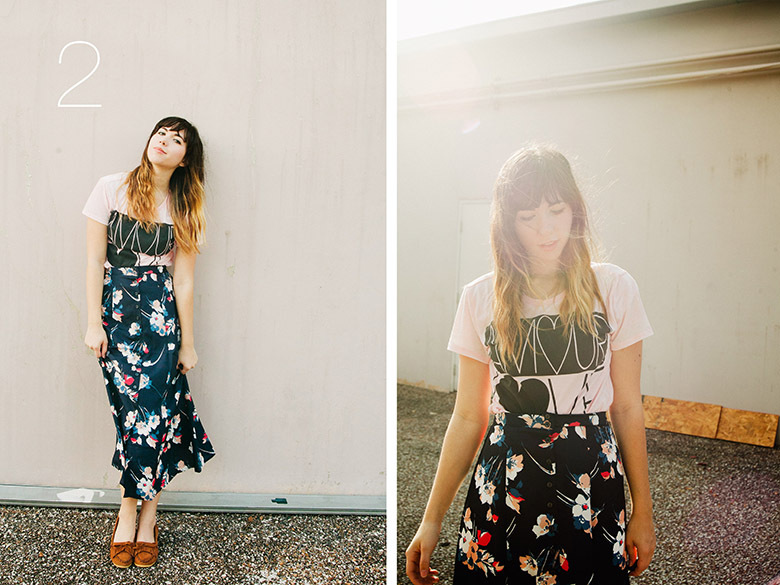 Style Two //Graphic tee, floral maxi skirt, moccasins. 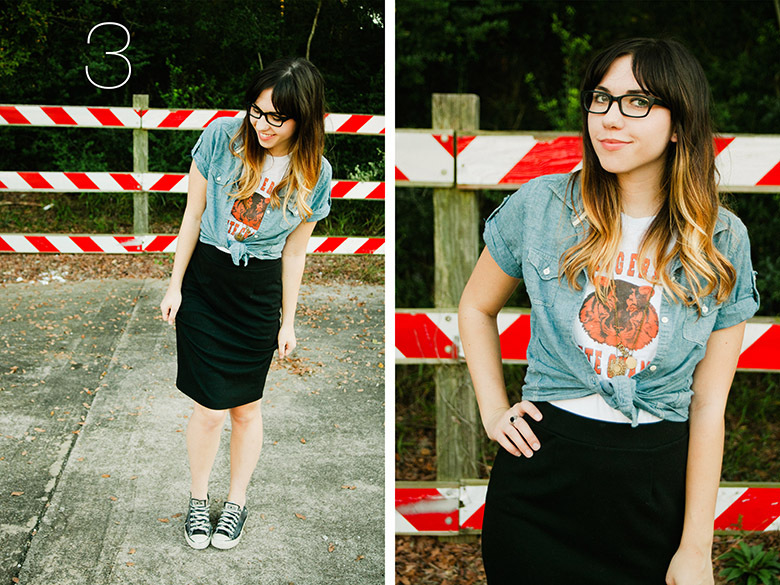 Style Three // Graphic tee, denim button up, pencil skirt, tennis shoes. Thanks again, Bri, for sharing these beautiful styling inspirations. These are great tips! I have a ton of graphic tees from when I used to only wear a tee and jeans and I never know how to wear them. Love this! Whoa I never woulda thought you could've worn them like this! very cute, i love style #2! Love these looks! Graphic tees can be really easy to style. yes. this is brilliance. now to buy some graphic tees! This is awesome! I especially love the third outfit, that denim shirt looks great with the graphic tee. Style Three looks great! Thanks for the great style ideas! I would love to find some good vintage tee's. Where did you get your template for your blog? I love it! Bri is such a darling! Loving that third outfit!! Great post! This post... It is relevant to my interests! I'm a big fan of graphic tee's, I have sooo many, but as you say, jeans+tee isa boring combo. I'll certainly be making my own spin on a couple of these ideas! I often find myself avoiding graphic tees because it's too tempting just to throw them on with jeans. Thanks for the inspiration...maybe I won't shy away from them as much! I love the last look with the pencil skirt!